Would you like to find an awesome driving instructor to give you driving lessons you enjoy so you can pass your test and get freedom to go where you want, when you want without having to rely on lifts, public transport or having to walk in the rain and cold? 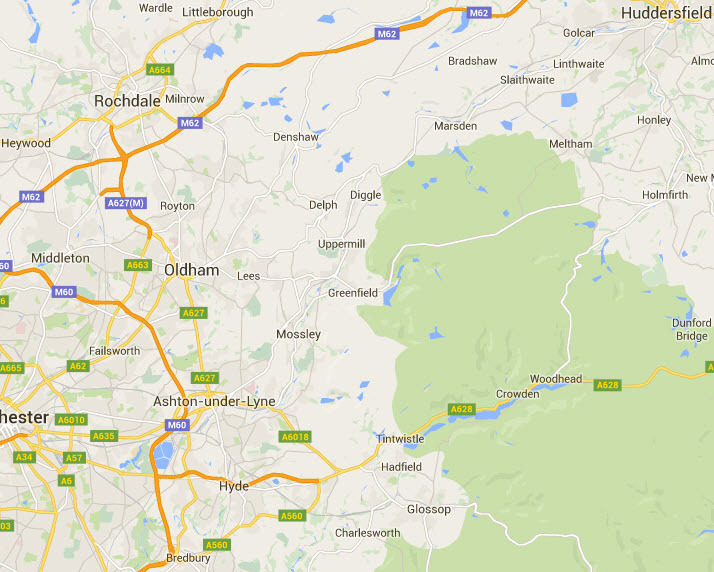 Although the office for our driving school is in Oldham, we have instructors that cover all of Tameside, Rochdale and Saddleworth too, as well as most areas of North Manchester, East Manchester and Huddersfield. If you live somewhere on this map, we almost certainly have an instructor for you! Click one of the following areas to see which Latics Driving Instructors cover your town or village! Your driving instructor can pick you up from home, work or college, and you can feel secure knowing you can stay with the same driving instructor until you pass your test. Our driving instructors have brilliant pass rates and you can choose the duration and frequency of your driving lessons or even book one of our ‘Fast Pass’ or intensive courses. You have already taken your first step to getting on the road! Now let us do the rest! Ring our top-notch driving school in Oldham today on 0161 410 1011, request a call back, or book online.